I am a native Californian and a resident of Long Beach since 1999. I grew up in Southern California and after traveling to many beautiful places, chose Long Beach as my home. My hobbies are surfing, paddle boarding, and trying to keep up with technology. I have three grown sons and seven wonderful grandchildren. My three sons, Todd, Tyler, and Conor, took the entrepreneurial path and moved to New Zealand open a Mexican Restaurant. They have over thirty restaurants now so they're doing pretty well! 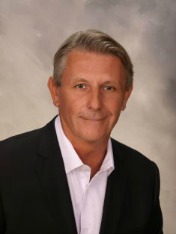 I have over 25 years experience as a consistent top salesperson, manager, and owner in the Southern California Real Estate Industry. I focus on residential real estate in the Long Beach area. I have an accurate understanding of the current and emerging trends in the Long Beach and Southern California real estate market. With experience selling homes in not only Long Beach, but many other areas of Los Angeles and Orange County, I have the market knowledge to serve my clients at a high level.